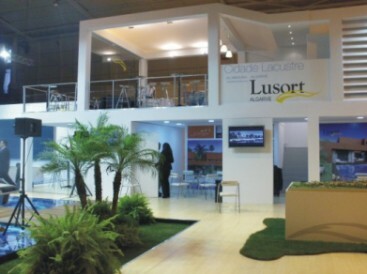 The project was unveiled at the Salão Imobiliário de Lisboa (SIL), a property trade fair that recently took place in Lisbon, by Lusort’s managing director Rafael Vigueras and top international architect Rafael de la Hoz. The residential area will be composed of a variety of properties, from one bedroom apartments to luxury villas measuring more than 4,000sqm, as well as duplex apartments, townhouses and semidetached villas. As part of the luxury hotels complex, the project foresees the installation of wellness centres, sports pavilions and other leisure facilities. In terms of figures, 434,000sqm will be dedicated to the construction of residential property, 213,000sqm for tourist accommodation and hotels, and 24,000sqm for commercial areas. The investment over the next few years represents one of the most important foreign investments in the Portuguese market in recent years. As well as the value of the investment itself (750 million euros), the project will have a great impact on employment in the area, providing many new jobs, not only in Vilamoura but throughout the whole Algarve region. Lusort has made it clear that environmental concerns are a priority for the company and, therefore, the construction will be carried out ensuring that there is the utmost respect for environmental issues. A strict environmental policy is applied in all the company’s activities.